The quality of being just, impartial and fair. It stands to reason that if a person has a right to a trial, then they have the right to all the appeals and other legal processes allowed under their system of justice. Meredith Kercher, a beautiful, and by all accounts vivacious, intelligent and special woman was brutally murdered in November of 2007 in Perugia, Italy. Amanda Knox and Raffaele Sollecito were arrested for the crime before the results of any physical evidence examinations were received. This is not my opinion, it is the statement of the police themselves: “We knew she was guilty of murder without physical evidence,” Chief Investigator Edgardo Giobbi embarrassingly admitted on TV, in a scene awkwardly reminiscent of Ashlee Simpson’s lip syncing scandal on Saturday Night Live. Much as Ashlee’s humiliation began when her tech people cued up the wrong song, Giobbi’s began when the evidence finally arrived and showed he had cued up the wrong “murderer.” The DNA of a burglar known to carry a knife (and unknown to Amanda and Raffaele) was found in the victim. But that didn’t stop the embarrassed police/court. They convicted Amanda and Raffaele on what most worldwide observers now consider contrived or even planted evidence. Then they passed the Kool Aid around and everyone drank. Certainly, a decent, honorable man like John Kercher was not advocating that Amanda and Raffaele don’t or shouldn’t have the right to their legally-guaranteed appeal. So what was his reasoning? Was he simply cathartically emoting in the press? Or was there another reason? The statement was not made when the appeal was announced; the statement by John Kercher was released by the press at the beginning of the appeal, and the timing therefore feels somewhat calculated. I tread carefully on the thin ice of questioning the statements of bereaved people. I have not endured the pain that has been foisted on the Kerchers and pray to God I will never have to. I respect and admire the dignity with which they have dealt with the tragedy. I pray for them. I ache for them. I do not think they should be criticized. However, this does not mean that their statements are sacrosanct or should not be examined for the sake of justice for Meredith and for Amanda and for Raffaele. Frankly, and I think this point has been largely ignored, if one has to make a choice between; A) Ensuring that all people involved in this case get the full measure of justice to which they are entitled, or B) Protecting the Kerchers from further pain, justice must prevail, as distasteful as it is to think of Meredith's family going through more pain. Disagreeing with the Kerchers, even publicly, is not disrespect. While much has been written about the Kerchers' "dignified silence" in this case, it should be noted that while they have been dignified, they have not been silent. Especially, they have not been silent at strategic moments, frequently in the weekend prior to important court proceedings. Tomorrow, the final stage of Amanda and Raffaele's appeal begins, and true to form, a statement has been "leaked" to the British press from a member of the Kercher family. 1. Judicial systems around the world learn from the corruption, the travesties, the ignorance, and the attitudes in this small courtroom in Perugia. 2. More innocent people are cleared and more guilty are convicted because of this case. 3. People learn not to pre-judge cases before a trial starts. 4. Justice becomes even a little more “blind” as a result of this case. The Kerchers are good, decent people who have suffered more than humans should have to. But in their grief and their pain lie the reasons that the family members of victims are not allowed on the jury that tries the suspects in their case. Justice is blind for a reason. Only in the penalty phases can the pain and grief of the family be taken into account. A trial is not about retribution. A trial is about the finding of facts. Emotion is corrosive to facts. Mixing emotion with fact degrades fact, not emotion. If emotions are allowed to influence fact in a trial, all is lost. And this is the reason that the involvement of victims’ families are always against their own best interests. Look at the statement. She decries that the defense is focusing on facts; DNA (physical evidence), and she begs us not to concentrate on the evidence, but that her sister is dead and they need closure. “Please,” she seems to be asking, “don’t pay attention to the evidence, listen to our emotion, end our pain.” I have dealt with bereaved families dozens of times, and they are without exception devastated with grief and hoping for the pain to end and closure to arrive as soon as possible. The hard truth is that quick justice usually brings no closure. And this case is possibly the greatest example of the truth of this axiom. Justice must be blind. Blind not just to the suspects, but to the victims. Justice cannot take into account anything but the facts, or else the victims themselves are once again victimized, even if the victims themselves beg for Justice to peek from below her blindfold. The Kerchers would have had some peace and closure by now if the investigators and forensic personnel had lived up to their responsibilities and the trust given them by the people of Italy. They would have closure if the attorney they hired, Maresca, had no financial interest in an outcome in which a wealthy person was convicted instead of an indigent person. They would have had closure if Judge Hellmann presided over the first case. If fingers of blame are to be thrust out for the Kercher family’s extended agony, they should be pointed at Rudy Guede, the man who murdered their daughter. At Giuliano Mignini, who saw in this case a chance to cynically resuscitate his shattered career. At Patrizia Stefanoni, whose gross incompetence, (or worse) deprived Amanda, Raffaele, Meredith and the Kercher family true justice. The right of the wrongly accused to appeal their sentences is not, and has never been the cause of the Kerchers’ pain, it has been the result of the police and prosecutors’ malfeasance which made an appeal necessary. Had the police and Mignini gotten this right the first time, had waited just a few days for the physical evidence, Rudy Guede would be in prison for a long, long time, and the Kerchers would have had closure almost three years ago. The Kercher family has the right to speak. They have been through an unimaginable hell since November 2007. 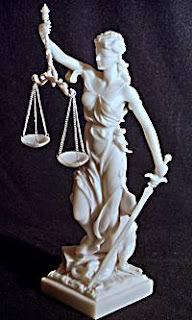 But the world has the right, and frankly, the duty, to look past the statements of grieved family members—whoever they may be--to see beyond the darkness of the agonized cries of a family so wrongly victimized and toward the light five hundred years of legal experience and wisdom, of common law that was written in the blood of victims of criminals and victims of vigilantes. The legal traditions of England, Italy and the United States are the products of hundreds of years of trial and error, and they must not be, cannot be, discarded or disregarded simply due to the emotion implicit in a single case. It has been said that fences are only needed when the cattle are pushing against them. The legal system is a fence which must hold to the facts when emotion pushes against it. They courts and the juries have the obligation to look dispassionately at the evidence, and not at the victim or the grieving families, because the family will be grieving whether the real murderer or a wrongly accused person is in the dock. The fact that a victim’s family is grieving has no probative basis in a court of law. Only a reasoned, dispassionate analysis of real evidence will bring true justice to Meredith Kercher. IT’S NOT ABOUT MEREDITH NOW. The original case was about Meredith. The prosecution had ONE shot to find the right perpetrator and secure justice for Meredith and her loved ones. They couldn’t get it done. Justice was ‘a bridge too far.’ Wrong persons, no justice. The corruption and the sick avarice and hatred of the court of first incidence denied Meredith "true justice." Done. Over. Tragedy. You cannot resurrect justice for Meredith any more than you can resurrect Meredith herself. Meredith died in November, 2007, and any hope of justice for her died in December 2009. The APPEAL has to do ONLY with Amanda and Raffaele. Justice for them has not died. Meredith should never be forgotten. However, the appeals courtroom is not the place to keep her memory alive. Frankly, a courtroom in any murder case is the one place in which the murder victim loses all their privacy, dignity and humanity. Tragically, the evidence tells us that justice for Meredith is a lost opportunity. She was murdered by a man who appears to have made a deal with the prosecution for leniency in return for testimony he knew to be false. By some accounts, Meredith’s murderer could be on the streets again in just three years. Women in painful labor say and do things at which they later marvel, frequently regret, and sometimes laugh at. Anybody who has “coached” a woman through labor knows that extreme pain does not lead to reasoned statements or cautious actions. Care for the Kerchers. Ache for the Kerchers. Pray for the Kerchers. But carefully evaluate what they say—and when they say it. It is our duty, not just to Amanda and Raffaele, but to Meredith.